Unsane arrives on Digital and DVD in July. UNSANE plunges audiences into the suspense and drama of a resilient woman's fight to reclaim her freedom even as she risks her own sanity. Academy Award® winning director Steven Soderbergh’s “edgy psychological thriller” (Event, Mail on Sunday) UNSANE, arrives on Digital Download on 16th July and on DVD on 23rd July. Special feature ‘Unsanity’ explores the all-iPhone technique, allowing fans to truly immerse themselves in the heart-pounding, claustrophobic, thought-provoking experience in the comfort of their own home. 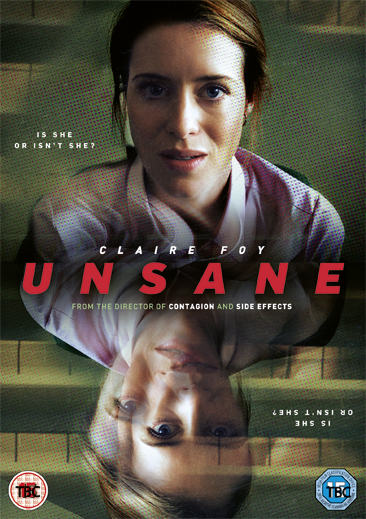 UNSANE is available on Digital Download on 16th July and on DVD on 23rd July.